⚡Zeus almighty!⚡Coming up with creative teaching ideas sure is time-consuming...and that's no myth. 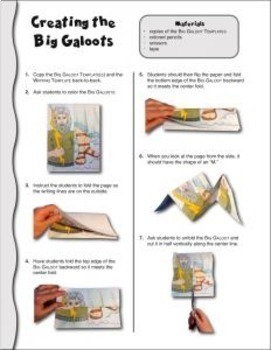 Use these BIG GALOOTS to add a ⚡jolt⚡to your lesson on Greek mythology. 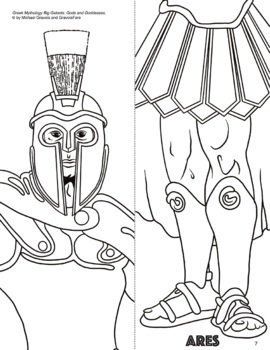 Students will love learning about the mythologies of FOURTEEN Greek gods and goddesses and responding to what they learn by creating a Big Galoot for each of these fascinating figures. Each Big Galoot features one of FOURTEEN Olympians (listed below) and includes plenty of writing space on the back for reader response. A list of suggested reader response topics is included. Check out the PREVIEW for a movie of what the finished product looks like. 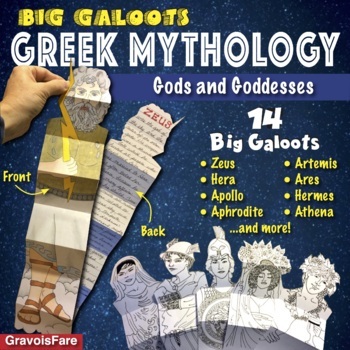 Buy the BUNDLE of 40 Greek Mythology Big Galoots: Gods and Goddesses; Heroes and Heroines; Monsters and Creatures—and SAVE 15%! 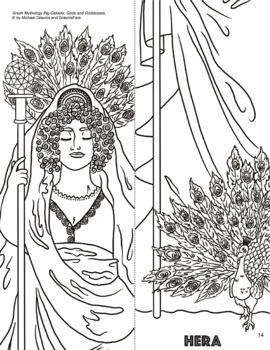 Click here to follow GravoisFare and be notified when new products are released. • Watch the video preview to see a movie of what the finished product will look like. Don’t forget that leaving feedback earns you points toward TPT purchases. Follow the GravoisFare store to be notified when new products are added; more hands-on projects are added regularly.